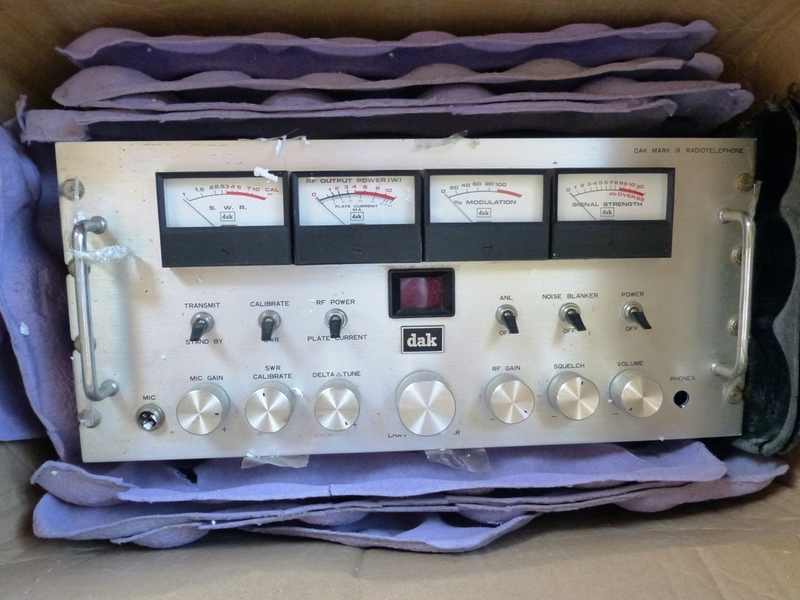 DAK MK IX HYBRID SSB 40 Channel CB Radio I bought on ebay USA. Another Bloody CB Radio as my wife would say, Just what I needed! Packed reasonably well by the US seller, and he did make sure the front facia and dials were over protected being the most important part of this radio for me. 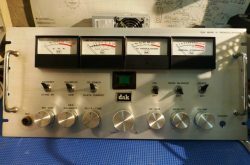 THE DAK?is a 40 Channel SSB cb radio base station with an imposing presence and easy to read meter dials! 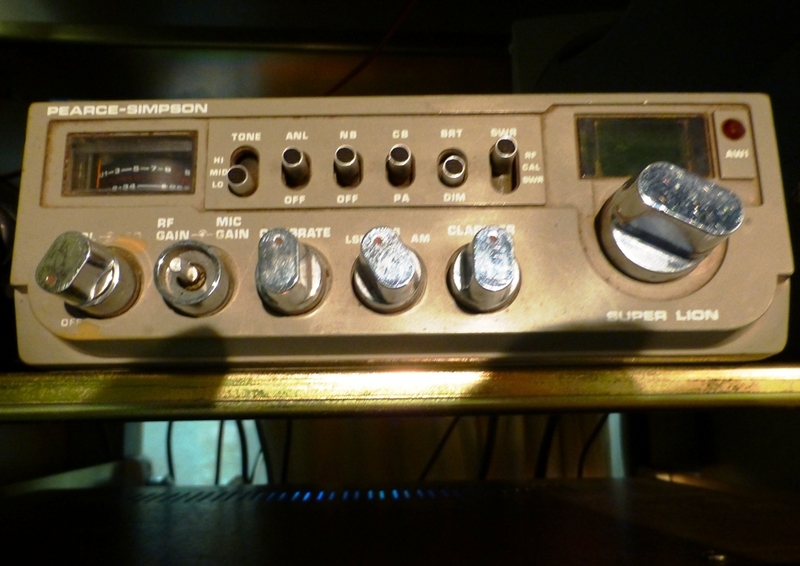 Seemed a pity to gut it, but I have kept all the parts for someone that values the AM operation on this beautiful cb radio. Contact me for what you need. 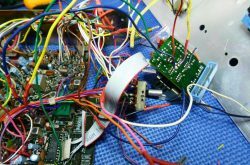 I wanted to use a reasonably good quality 40 Channel SSB CB radio for the donor unit to fit inside with a PC Mini Power Supply. But I have quite a few radios that would suit but I did not want to destroy any of them for this purpose. Luckily I had purchased a cheap Pearce Simpson Super Lion at a garage sale locally for $5 a few months previously which actually worked when I took it home and tried it, to my amazement. 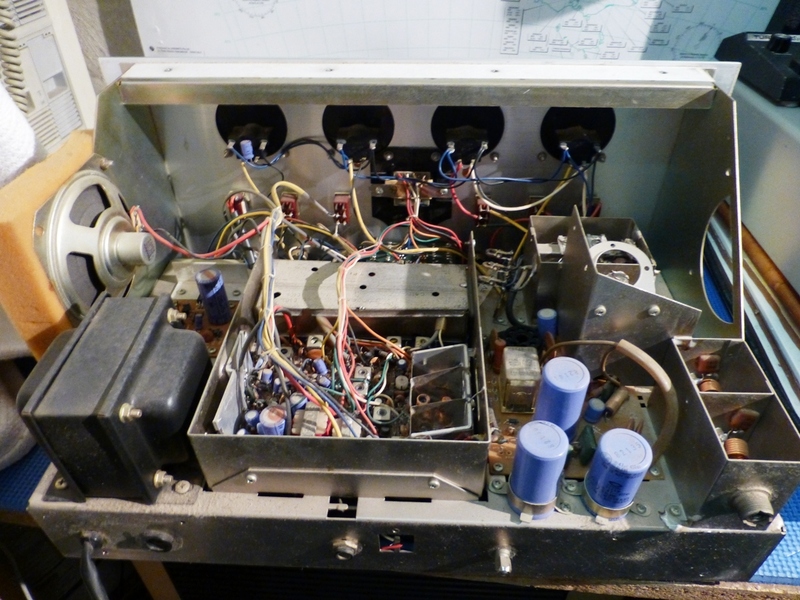 As it looked like crap and was made in Japan and worked well it was the ideal donor radio to destroy for the purpose. 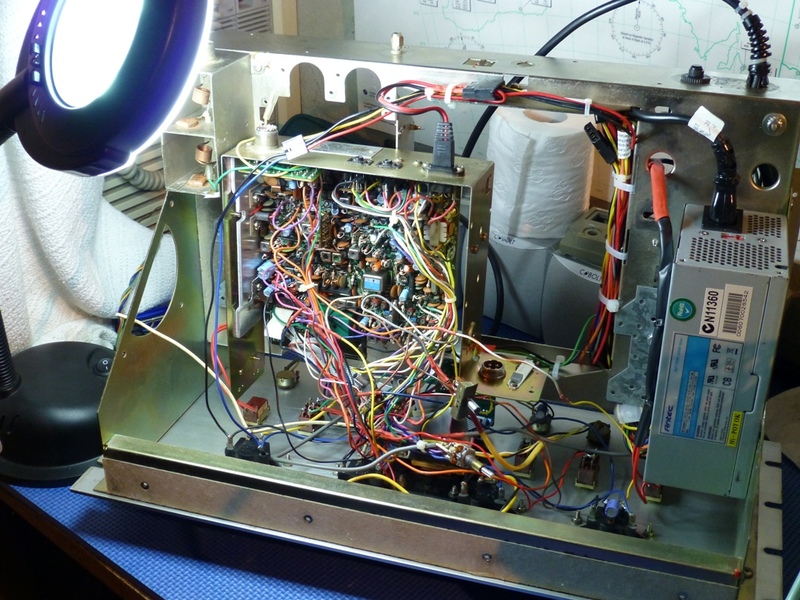 A mess but every wire was carefully tracked and wired in correctly to the DAK controls and Meters. 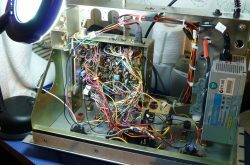 The Mode Switch was the only switch I did not want to remove from the Super Lion original loom so the radio was repositioned to suit the AM /SSB rotary switch being able to fit. 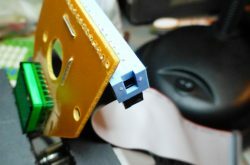 The LED Channel selector was anothe stroke of luck as the rotary channel selector was able to be parted from the LED Display and repositioned correctly with some hi-tech computer connectors enabling rewiring fairly easily. Unfortunately I got a wire wrong and the LEDS went out but I belive I can fix them soon. 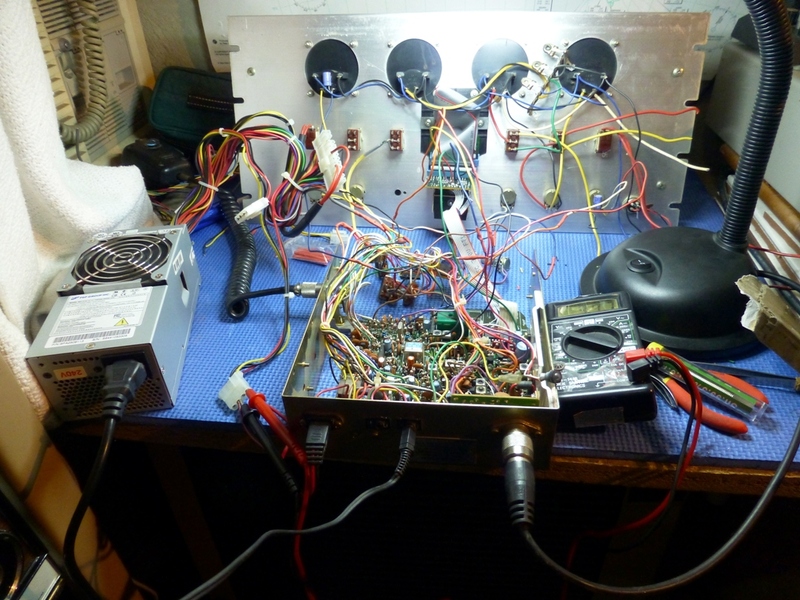 Starting to look like a cb radio now after a few weeks working on it occasionally. 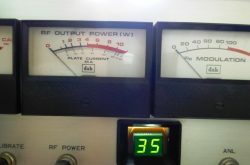 DAK MK IX SSB 40 Channel CB Radio after rebuild on youtube. IF I lived in the USA, THIS is the setup I would HAVE! ? ALVIN’s Station on FaceBook! 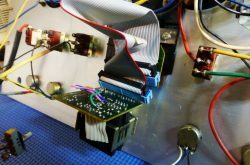 This entry was posted in CB Radio Classics, CB Radios, DAK CB Radios by AlphaXray NumberFive. Bookmark the permalink. Absolutely love the dak mod. You have me motivated and finally one of my dak units has made it into the shack for surgery. Thanks heaps for such a great site, love 27mhz, never forget your roots for sure. I started as a cb technician all those years ago, it took me to over 40 countries in my career in electronics, all from 10-4 good buddy!!!!! 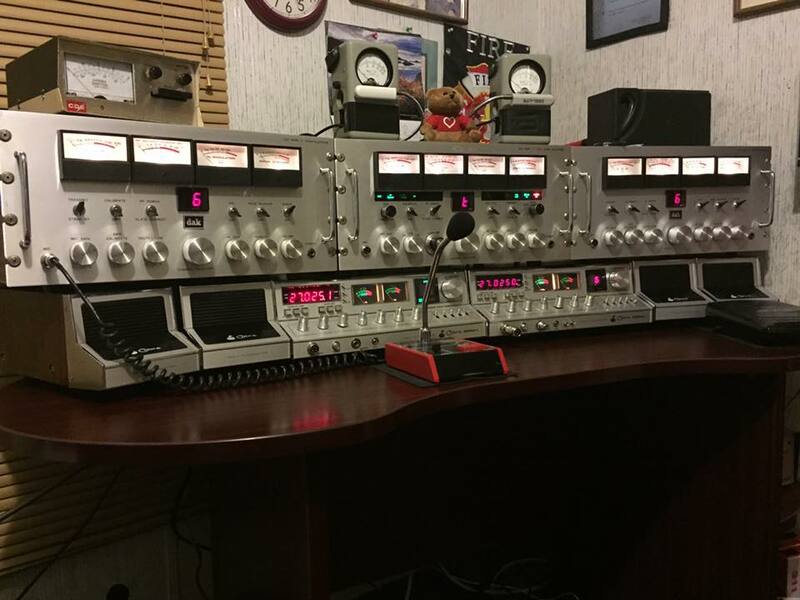 Jack Daniels Whiskey 229 on cb, on ham radio, vk3cm in victoria vk5bm in south Australia..